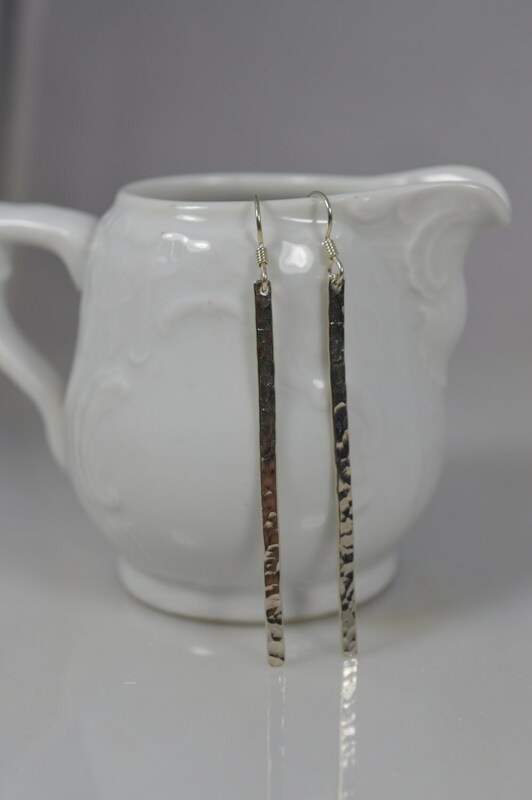 Every girl needs a simple pair of silver earrings in her jewelry box! 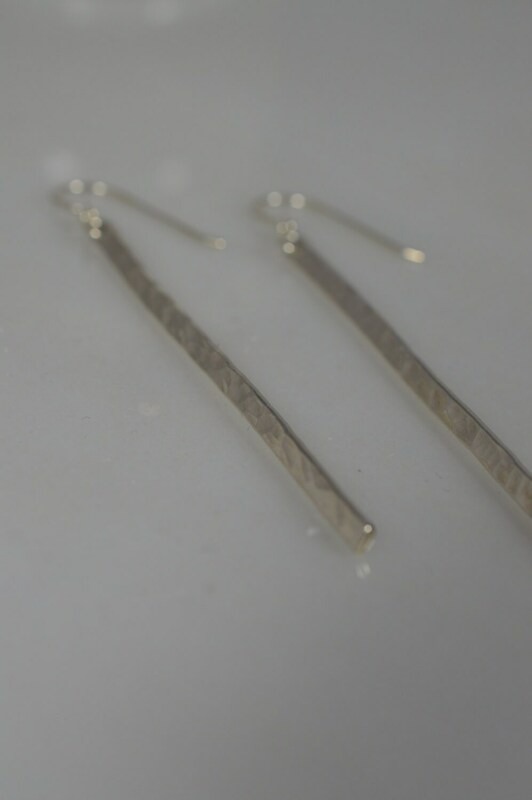 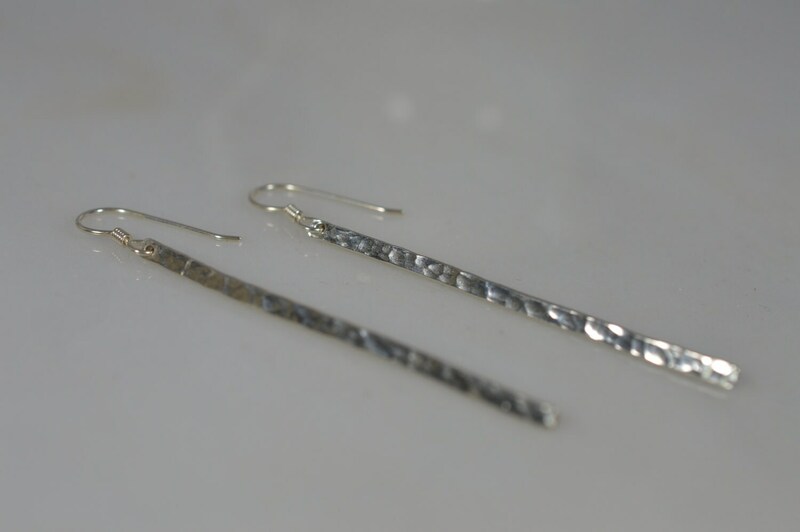 I hammered two thin, sterling silver bars to make that perfect pair of go to silver earrings for the modern girl. 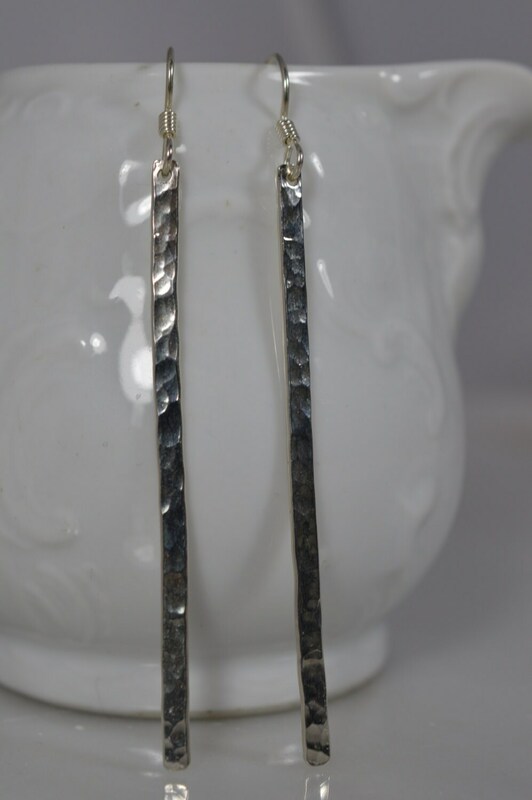 Earrings are about 3 inches total length.